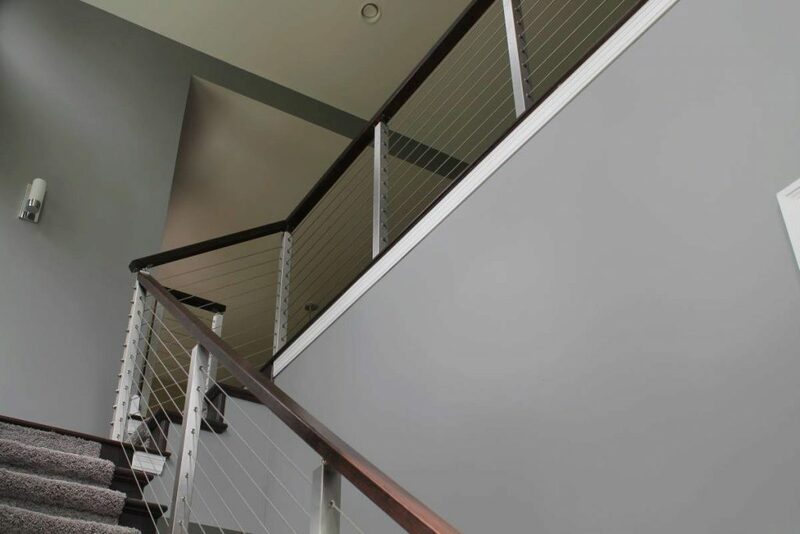 This project features our cable railing system on two flights of stairs. 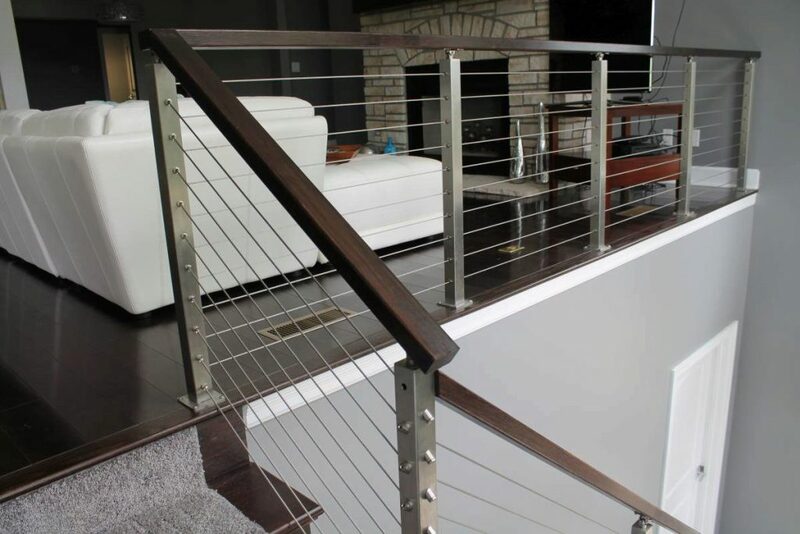 When using our cable railing with stainless steel posts on angled runs, our angle tension kits are the stars of the show. 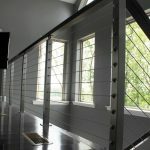 Each angle tension kit includes a Tension Receiver, a Threaded Crimp Fitting, an Angle Washer, and an Adhesive Sleeve. 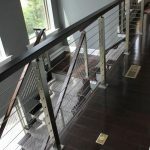 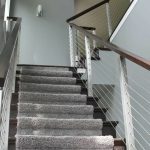 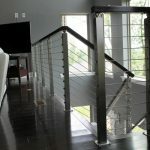 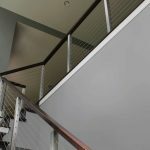 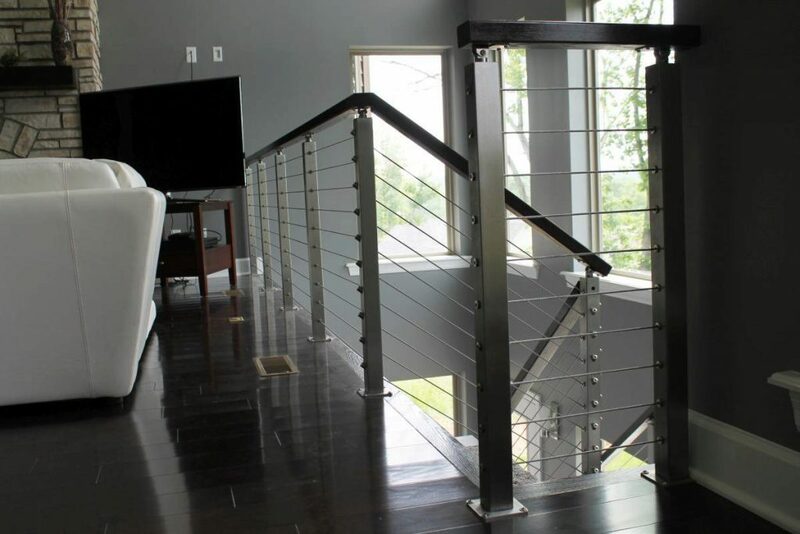 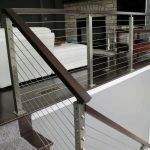 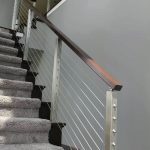 Before purchasing a cable railing system, it is important to know the angle of your stairs. 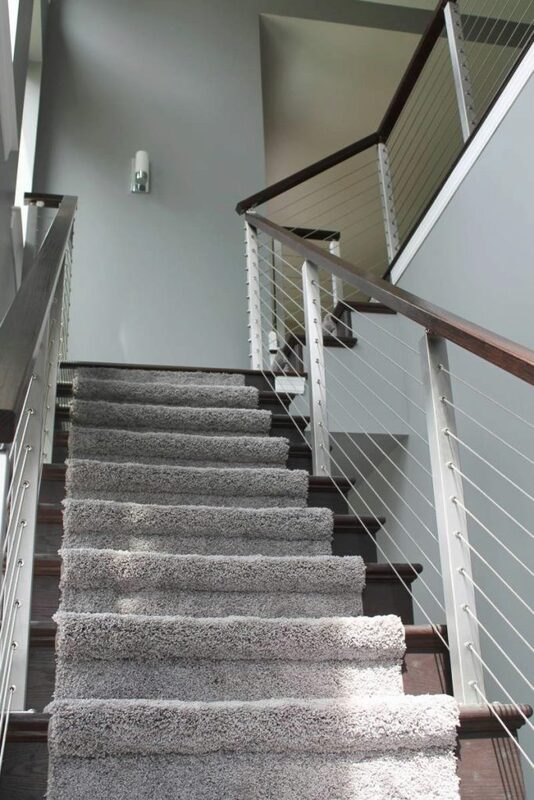 To do this, find the rise and run of your stairs. 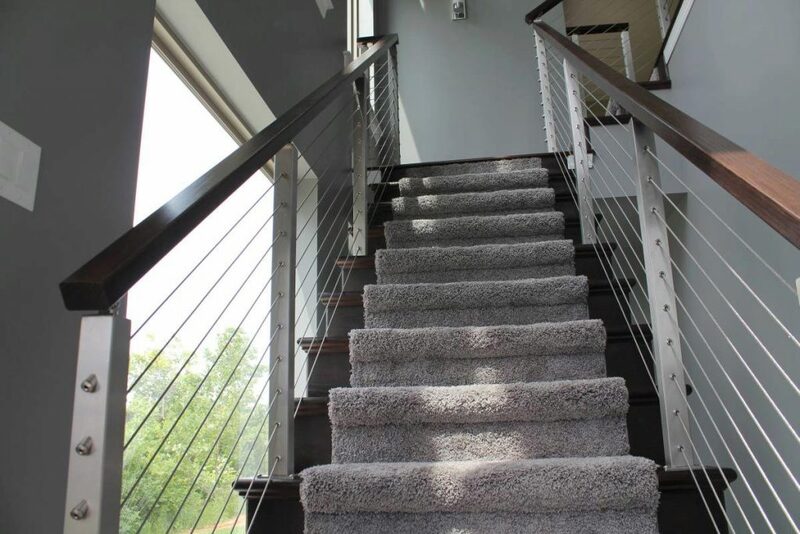 Once you have the rise and run, you can contact us to calculate the angle for you. 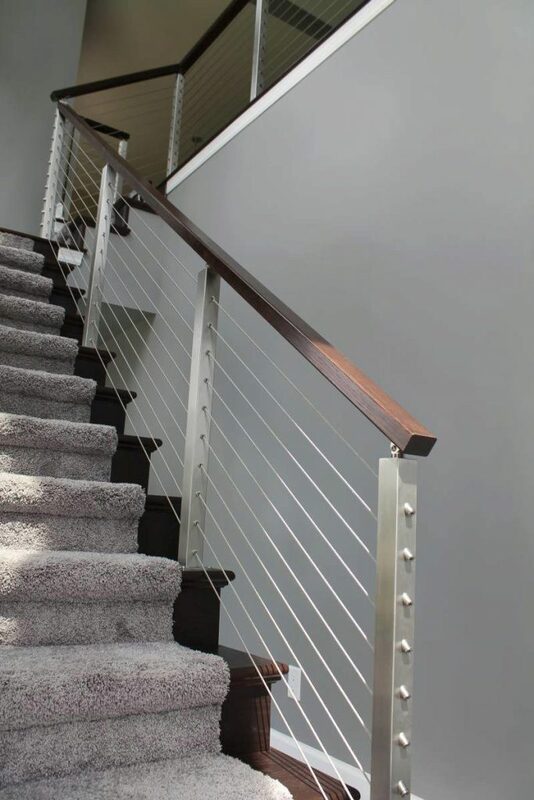 Our standard angle tension kit comes for a 37 degree staircase. 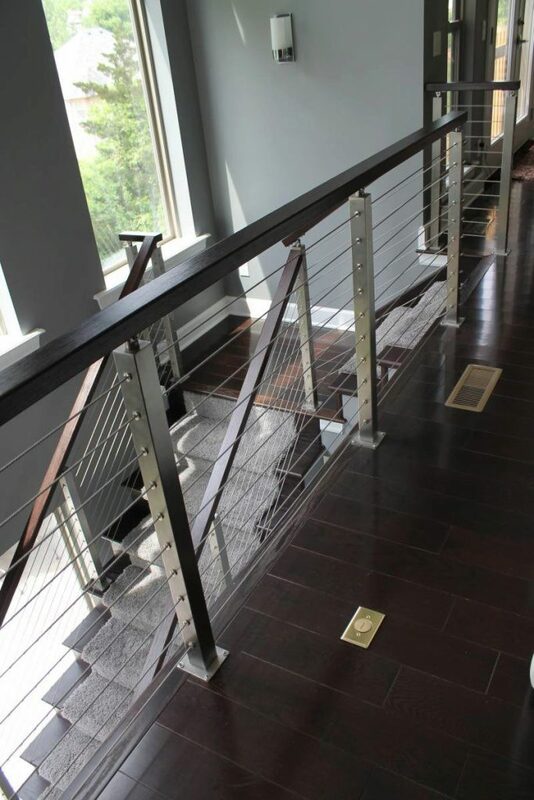 However, we have many versions of the cable railing kits that can accommodate a wide range of angles. 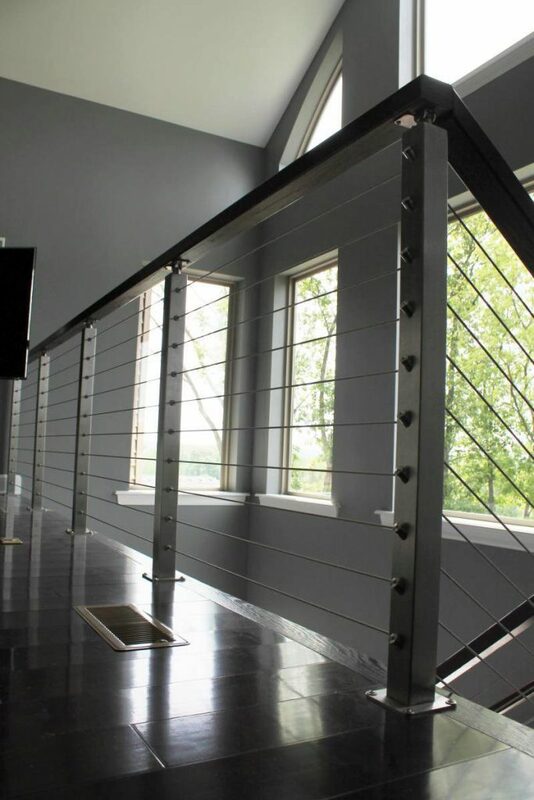 To speak with a sales representative about your project, please call 1-(866)-226-6536.